Egon was born and raised in rural Southern Chile where he helped his father earn a living by breaking oxen to pull carts. He has experience with livestock in a variety of international settings, and came to the U.S. to continue this work. 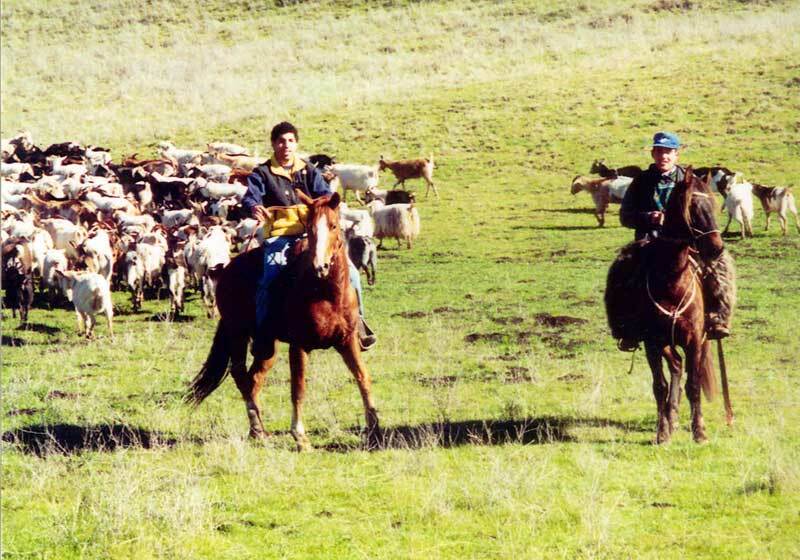 Terri has kept livestock in Northern California both for pleasure and competition her entire life. After graduating with a Masters degree from San Francisco State University, her fuzzy family continued to grow, and Terri & Egon's personal relationship developed over their common love of all animals – and the rest is history! Their 13-year-old son Zephyr is an active participant in all aspects of the business, and certainly the day-to-day care of the livestock. His passion for animals has carried over to his sport of choice, team penning. Domingo was born to a cattle ranching family in Chile. 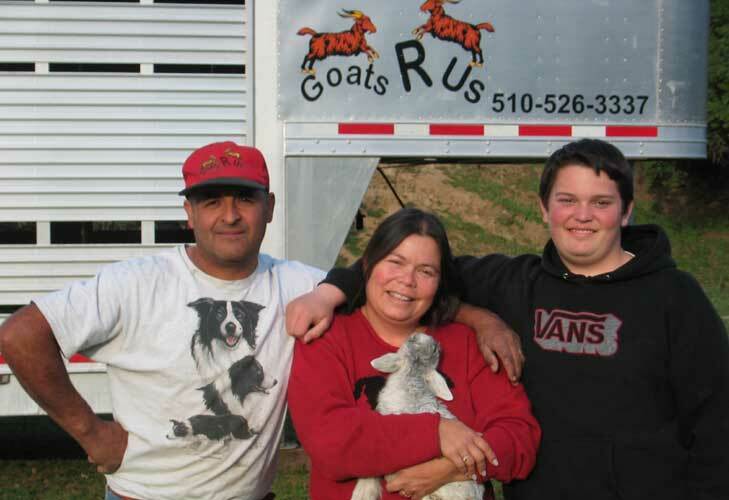 He has been a part of the Goats R Us family since 2000. His primary role is to watch out for the needs of our shepherds, as well as the goats and other animals on the ranch. 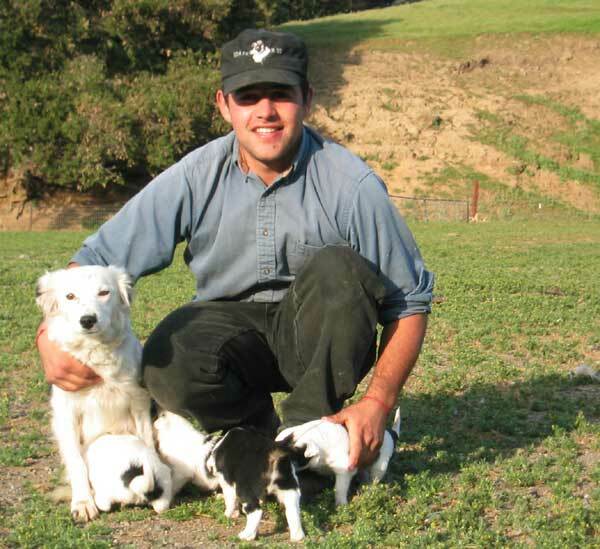 He has extensive experience training working dogs, and is responsible for teaching the Goats R Us puppies the skills they will need to become indispensable partners to their human counterparts. Our shepherds are recruited from South America, having been referred for their outstanding ability to work with livestock. While there is a long list of qualified applicants, the shepherds hired by Goats R Us are exceptional not only in their animal husbandry skills, but also in their ability to work effectively with the public. They each take great pride in their herd, dog, and work performance. Their skill and hard work are the backbone of the Goats R Us operation. Born in San Francisco, Maria Morales is a fire ecologist with a M.S. in Wildland Resource Science, a B.S. in Genetics and a minor in Forestry, all from UC Berkeley. Maria has written vegetation management for land owners of various sizes. As an ecologist her work walks the delicate balance between the needs of the landowner and the creatures that inhabit the region. She works with her husband, Tony, and is a mother of 3 children. Both Mom and Dad can do a credible impression of working border collies when their 3 kids are out and about. Safe Solutions Group is an environmental consulting company offering services in vegetation management planning, document editing and product marketing.